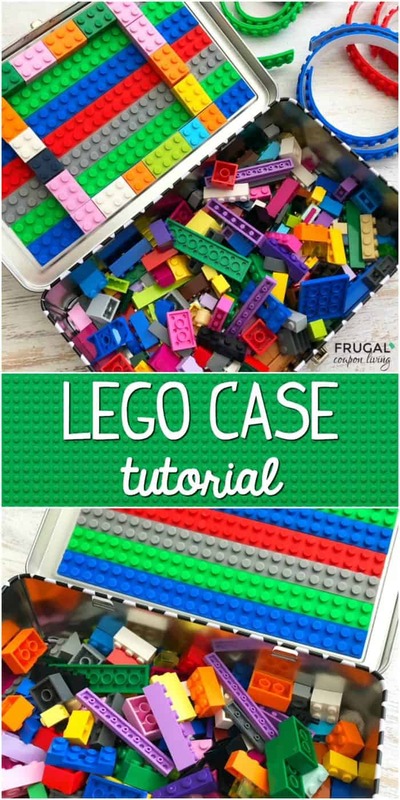 Make your own LEGO Travel Case. 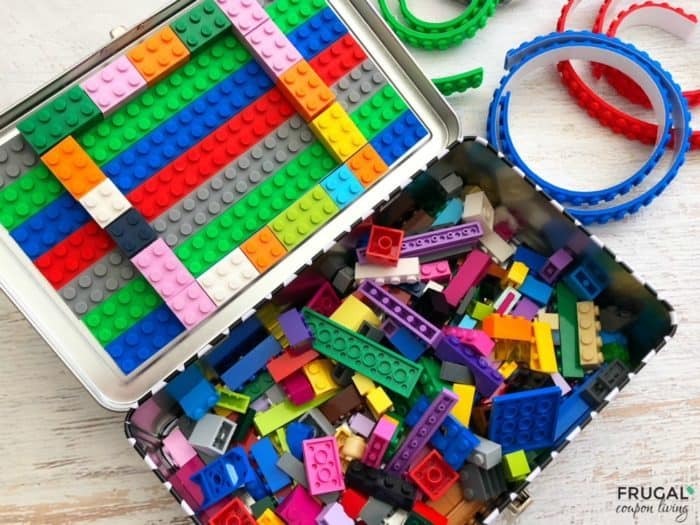 This DIY LEGO craft has building block compatible tape and a tin pencil case. 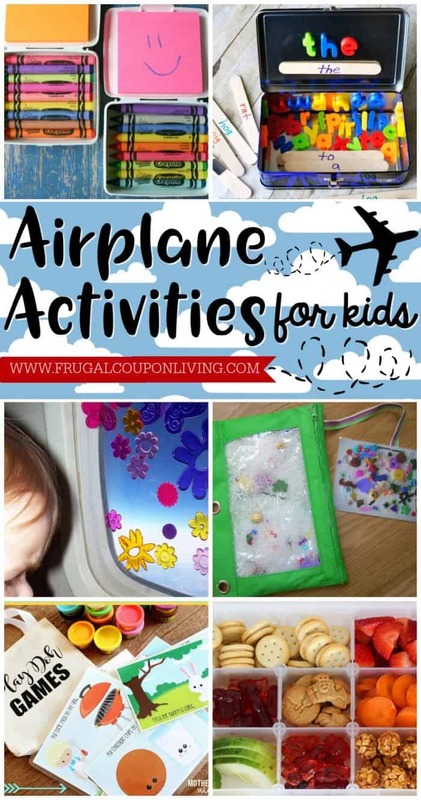 It’s a great travel with kids idea! We live in the suburbs of DC. When we take road trips, it takes hours just to get outside the surrounding area of the district. For example, we recently took a trip to the Outer Banks which was supposed to be a trip less than 5 hours. The car time took 9 hours! Talk about some creative ideas mom had to come up with the make her entire family of 5 happy. That was a trip without a single DVD too! My number one tip when traveling with kids is making sure that you have snacks. Having well fed tummies makes everyone happy. Also, I find too much sugar in my kids equates to getting car sick, so I have water over a sugary drink. Beyond food and drinks, I have to gather creative crafts. this personalized LEGO bin came in handy when taking our last road trip. We sorta made a game out of it. My girls love the Food Network challenges where they are required to get five ingredients. I told the girls they could use 9 LEGOs to make something and then we compared our final creations and had a vote on who was the most creative. 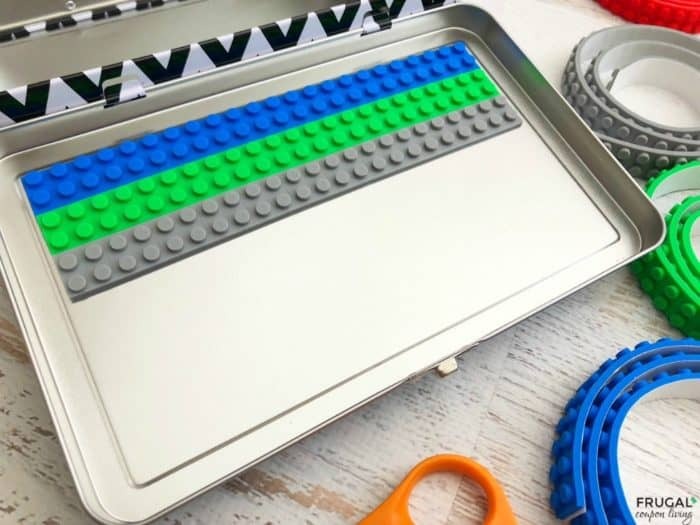 For this DIY LEGO Case, we found this LEGO Compatible Tape to be best, but there are a lot of building block tape options on Amazon. Since I am a last minute shopper, my Amazon Prime Membership allowed it to arrive in 2 days and I whipped up this craft really quick before our adventures! What do you find necessary for the road when you travel with kids? 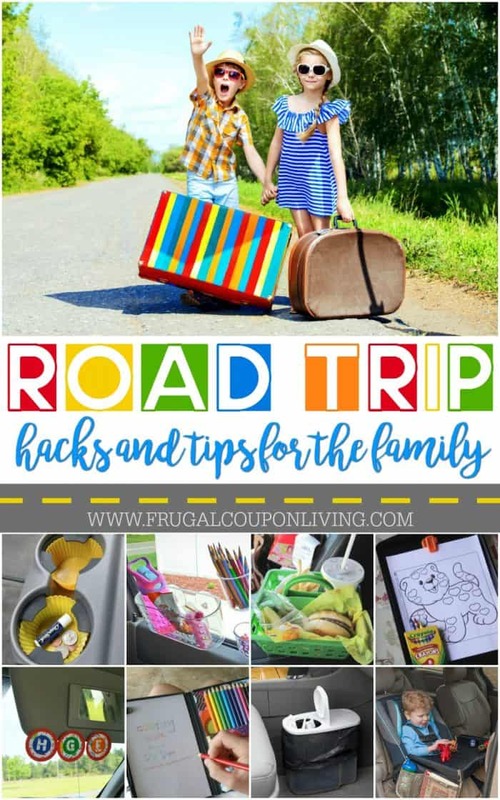 Take a peak at our Road Trip Hacks and Tips. Open your tin school box and measure the top from side to side (only the flat surface, don’t worry about the edges). Now cut around seven pieces of Lego tape the same length (more if your box is larger). Carefully laid the tape down onto the flat metal/tin surface until all pieces are laid out. Once you have it in place, press firmly along each piece. Fill the other side with Legos, close the box and bring with you wherever you go. 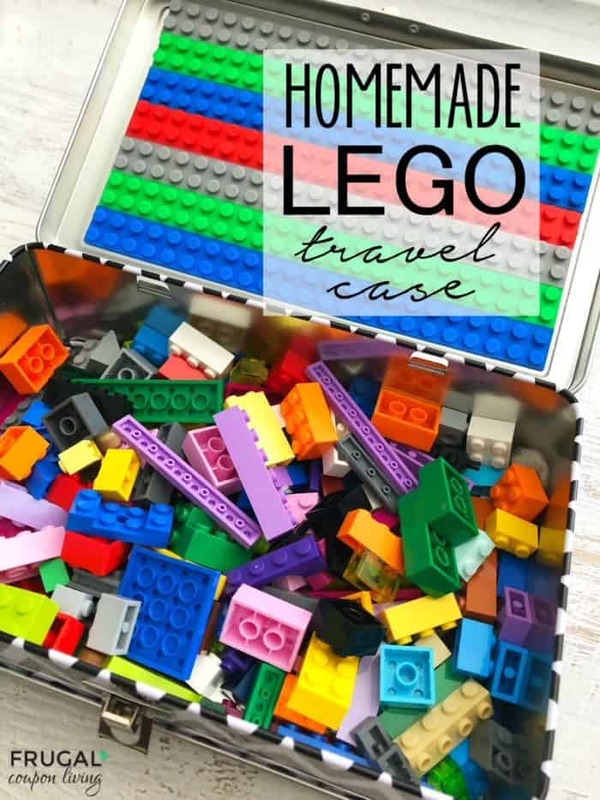 This DIY LEGO Travel Case goes great with our Airplane Activities for Kids. Pin to Pinterest. Going on the road? Instead check out these Road Trip Hacks and Tips. Pin to Pinterest. Mom might want to flag these! 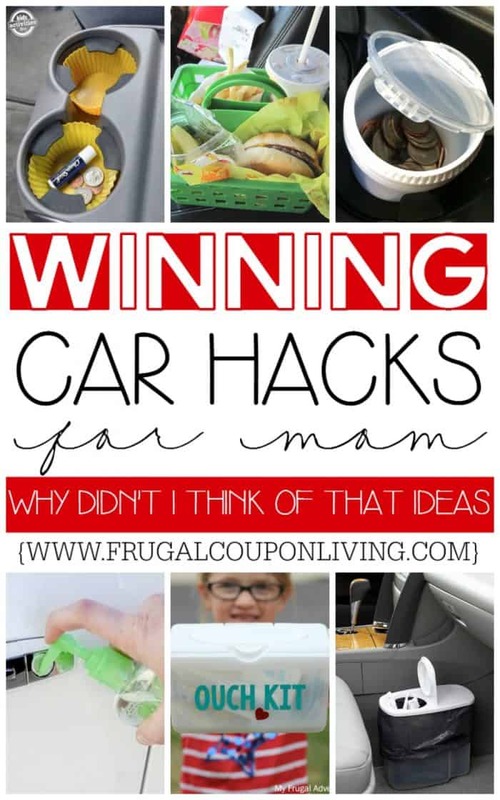 Winning Car Hacks for Moms. Pin to Pinterest.